For the third time in two months, Prime Minister Narendra Modi arrived in Karnataka on Tuesday and addressed a couple of adrenaline-pumping rallies. As he did before, he left the local BJP leaders smiling. They know he is their ultimate Brahmastra, inflicting electoral strikes on unsuspecting rivals and diverting votes in his party's direction. They also know Karnataka is the only state in the South where BJP will probably get seats in double digits. Besides, they know that when the going gets tough for the BJP, Modi gets going. The BJP had for long lived in a fool's paradise, dreaming that Karnataka would be its "gateway" to the South. But for a variety of reasons, most of which are of its own making, the party had made little headway in Tamil Nadu, Andhra Pradesh, Telangana and Kerala. 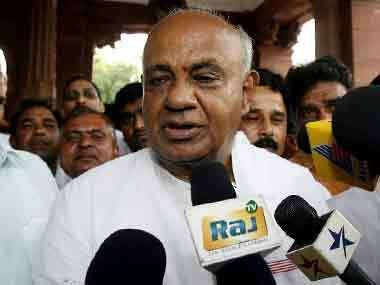 Instead of the gateway of its hallucinations, Karnataka, has remained just a half-opened gate. Even in Karnataka, it has nothing to boast of except for Modi's personal appeal. Even in 2014, when the BJP won 17 of Karnataka's 28 Lok Sabha seats, Modi made four visits to the state and addressed a dozen rallies. 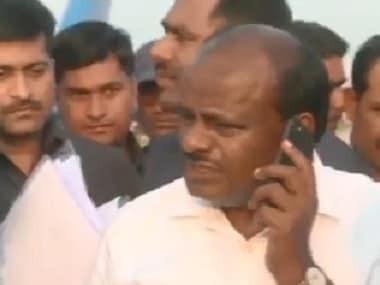 And it was only after he descended on the scene in the final stage of the 2018 Assembly election campaign that things began to look up for his party. 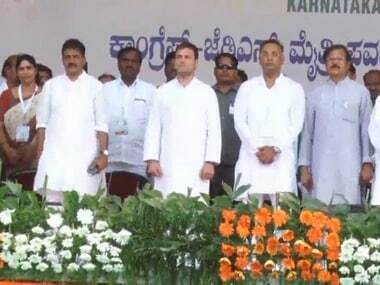 With his own brand of rabble-rousing, he demolished — well, almost — the divisive caste politics and cheap populism of the Congress government of the then chief minister Siddaramaiah. It was another story that after a clumsy attempt by the BJP to form government, a hastily stitched-up alliance of the Congress and the Janata Dal (Secular) snatched power. This is the result the state will produce now if the voting trend continues in the same way as in 2018 and if the Congress and JD(S) fought the BJP separately as they did last year. 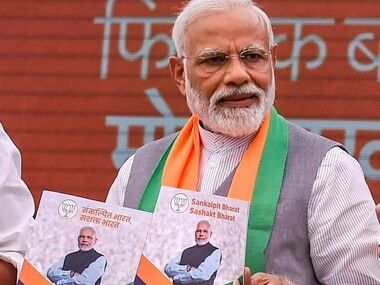 But in the upcoming Lok Sabha poll on 18 and 23 April in the state, the two parties are fighting the BJP as a coalition. But such an extrapolation is more of an academic exercise that can point to a possible range of permutations, than any indicator of a probable outcome. It goes without saying — but it needs to be said anyway — that voting seldom, if ever, happens this way. If, in the unlikely case it does work that way in this month's Lok Sabha election, the Congress-JD(S) leaders can turn up their collars and do a tap dance on the streets, expecting 21 seats for themselves, leaving only seven for the BJP against its 2014 score of 17. But they can't — and won't — do that for three good reasons. First, the Lok Sabha election is taking place nearly a year after the Assembly poll. If Harold Wilson had thought "a week is a long time in politics", a year is 52 times longer, enough for people's voting choices and the issues that influence those choices to change several times over. Second, an alliance between two parties does not automatically mean the voters of the two parties vote for their common candidate. Such a "transfer of votes" is rarely smooth even in the best of circumstances. Enough has been said about the squabbling between the Congress and JD(S), which makes such a transfer of votes quite messy. 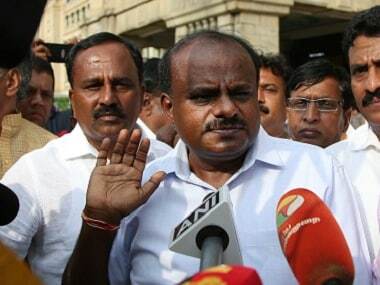 Things have come to such a pass that, in some constituencies, it has become a dogfight between Vokkaligas (the upper-caste of JD(S) leader HD Deve Gowda) and Kurubas (the backward class to which Congress leader Siddaramaiah belongs). 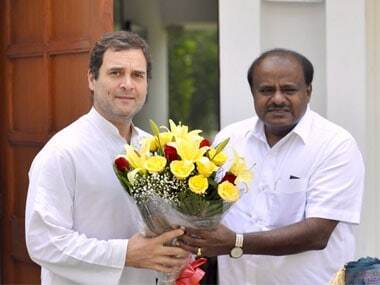 But all things considered, it is nobody's case that the Congress-JD(S) alliance is a complete washout. Despite their ding-dong battles, the two parties together can fare better than if they were fighting separately. Third, Karnataka’s history of dual-voting is something that can give the BJP hope in this election. As noted in this article, Karnataka has on several occasions voted for one party at the Centre and another in the state, or picked a party to rule the state different from the one ruling at the Centre. Conversely, the BJP can now hope, the state will vote for a party at the Centre, different from the one or ones ruling the state. The BJP knows this can happen again, and hopes to improve its 2014 tally of 17. The party is aware that there is nobody who can deliver this other than Modi. It's not surprising that the party has lined up six Modi rallies in Karnataka over the next eight days.